The very last thing I ever learned in High School was the importance of Backup Battery Preventative Maintenance. In fact, the entire senior class of 1978 at Rockbridge High School in Columbia, Missouri learned this lesson at the same time. It was during the graduation ceremony in May while the students were walking across the stage to receive their diplomas. I had already received mine and I was back in my seat sitting between Tracy Brandecker and Patrick Brier (we were sitting alphabetically. My name is Breazile). Pat was sitting on my left and Tracy was on my right. We were grinning from ear-to-ear to be graduating. My friends from the second grade, Mark Schlemper, Russell Somers and Brent Stewart had just walked across the stage in the gymnasium while a storm raged outside. As my friend from the fifth grade forward, Matt Tapley was walking across the stage there was a loud crack of thunder and the sound of an explosion as the lights went out. Matt Tapley has albinism, giving him white hair and skin. In his black robe, the entire class witnessed Matt’s head bobbing up and down in the faint light given off from the emergency lights to either side of the stage as he was bowing to his classmates. We all clapped. The clapping soon turned to laughter as the emergency lights quickly dimmed and went entirely out within a minute. 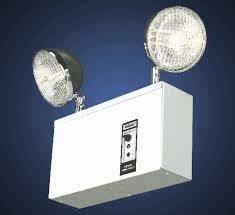 As we sat in total darkness waiting for some resourceful faculty member to make their way to the hidden fallout shelter in the basement of the school to retrieve the portable generator and a spotlight, I was amazed by how quickly the emergency lighting had failed. The transformer to the school had been destroyed by the lightning strike so we finished the ceremony by the light of the large spotlight from the back of gym. My thought was that the school is only 4 years old and already the emergency lighting is too old to stay lit long enough to even begin evacuating the building, if that was what we had intended to do. Fast forward to the spring of 1984. I had become an electrician a few months earlier. As I was learning the electrical ropes, I learned the importance of Preventative Maintenance in a power plant setting. The majority of an electrician’s job when I first joined the electric shop was doing “Preventative Maintenance”. I have some horror stories of bad preventative maintenance that I will share much later. I will point out now that most Americans know of some stories themselves, they just don’t realize that the root cause of these major failures were from a lack of preventative maintenance. A power plant, like the emergency lights in the High School, has a battery backup system, only it is on a grand scale. 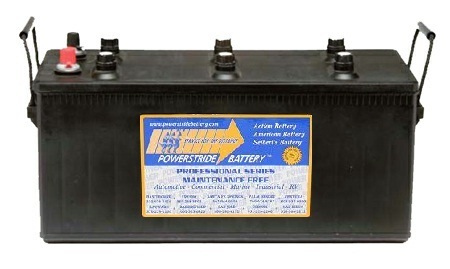 There are backup batteries for every system that needs to remain online when there is a total blackout of power. These batteries needed to be inspected regularly. We inspected them monthly. At first, I had done battery inspections with various electricians. Some people didn’t seem to take this task very seriously. I remember that when I did the inspections with Mike Rose, he usually finished by taking a gallon of soda water (a gallon of water with a box of baking soda dissolved into it) and pouring it all over the batteries. My bucket buddy, Diana Lucas (Dee), on the other hand, took a different approach. We carefully filled each cell with just the right amount of distilled water. Then she showed me how to meticulously clean any corrosion from the battery posts using a rag soaked in the soda water, and then she would paint the area on the post where the corrosion was with No-Ox grease. As big as these batteries are, it takes 58 of them for each system to come up with a 130 volt circuit. That’s right. 58 of these batteries all in a series. The station batteries are all in rooms by themselves known as…. “Unit 1 and Unit 2 Battery rooms”. Smaller station battery sets are found at different locations. Today, those places include the relay house in the main substation, the Microwave room on the roof of #1 boiler. The River pumps, the radio tower building, the coalyard switchgear, Enid Turbine Generators and the Co-Generation plant in Ponca City. I’m sure I’m leaving some out. Maybe a current electrician at the plant can remind me of the others in a comment below. Each of these locations have approximately 58 station batteries. While I was still a novice electrician, one morning in May I was told that I was going with Dee and Ben Davis to Enid to a Battery training class at an electric company office where the manufacturer (C&D) was going to go over the proper maintenance of the station batteries. Ben drove the pickup. I remember sitting in the middle between Dee and Ben both going and coming back from our lesson on Battery Preventative Maintenance…. Interesting that Ben was sitting to my left and Dee to my right that day… just like Pat and Tracy during the graduation ceremony 6 years earlier to the month when we first learned the impact of bad preventative maintenance on backup batteries. This time we were learning how to prevent the problem I had witnessed years before. I don’t know why I draw parallels like that. It just seem to make life a little neater when that happens. I don’t remember Ben and Dee grinning ear-to-ear like Pat and Tracy were the night we graduated from High School, but I can assure you, I was the entire 45 minutes going to Enid and the 45 minutes going back to the plant. 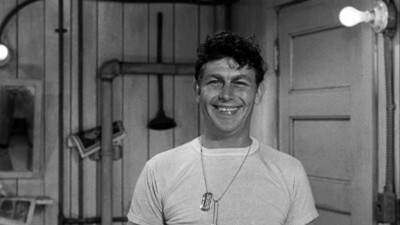 Since I had been trained for battery maintenance, I suppose it was like Andy Griffith becoming the Permanent Latrine Orderly (PLO) in the movie “No Time For Sergeants”. I was able to go to town inspecting all kinds of backup batteries. Anyway, Gene and I were given the task of checking all the batteries in the emergency lights throughout the plant. It happened that the emergency lights at the plant were all about 5 years old. Probably about the same age as the lights were in the high school the night of our graduation. The lights in the plant had wet cells. Which meant that you had to add distilled water to them like you do in your car, or in the station batteries. This amounted to a pretty large task as there were emergency lights stationed throughout the plant. We found many of the lights that would never have been able to light up enough to cause a cockroach to run for cover. We took the bad ones back to the shop to work on them. A lot of the batteries had gone bad because they had never been checked. They have a built-in battery charger, and some of the chargers were not working. I drew a wiring diagram of the charger so that we could troubleshoot them and replace components that had gone bad. All of this was like a dream to me. At the time I couldn’t think of any other place I would rather be. I loved taking things that were broken and fixing them and putting them back into operation. Eventually we decided to change the emergency light batteries to dry batteries. Those didn’t need water. We could pull out the six wet cells from each emergency light box and just plug the new batteries in place. This made a lot more sense. Who has time to go around regularly and check 50 or 60 emergency lights every 3 months? Not us. Not when we were trying to save the world. Just to give you an idea of how important these batteries are, let me tell you what they are used for…. Suppose the power plant is just humming along at full power, and all of the sudden, the power goes out. It doesn’t matter the reason. When there is a blackout in a city, or a state, be assured, the power plant itself is in a blackout state as well. After all, the power plant is where the electricity is being created. A turbine Generator Room at a nuclear power plant with a waxed floor! So, in order to stop a turbine generator properly, when a unit is taken offline, once it has coasted to a smooth stop, the turbine has to be engaged to something called a “Turning Gear” which slowly rotates the turbine generator. This is turned off only when the shaft has cooled down. 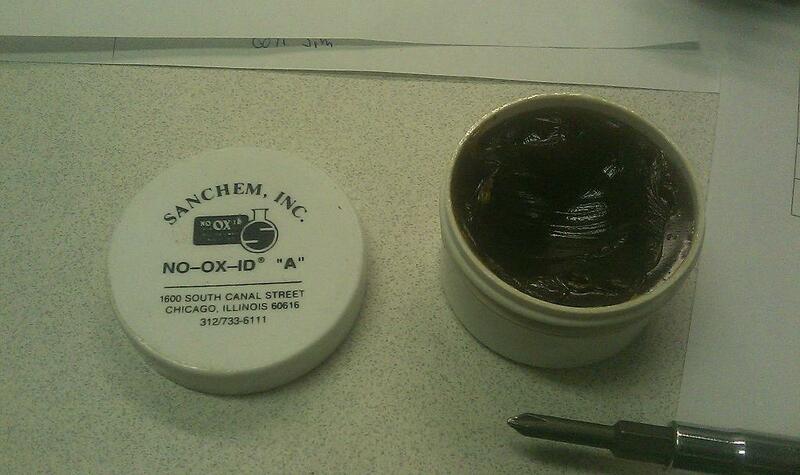 Without this, you might as well call General Electric and order a new one. So, one of the most important things the station batteries do is run emergency oil pumps that engage immediately when the power is cutoff from the plant. 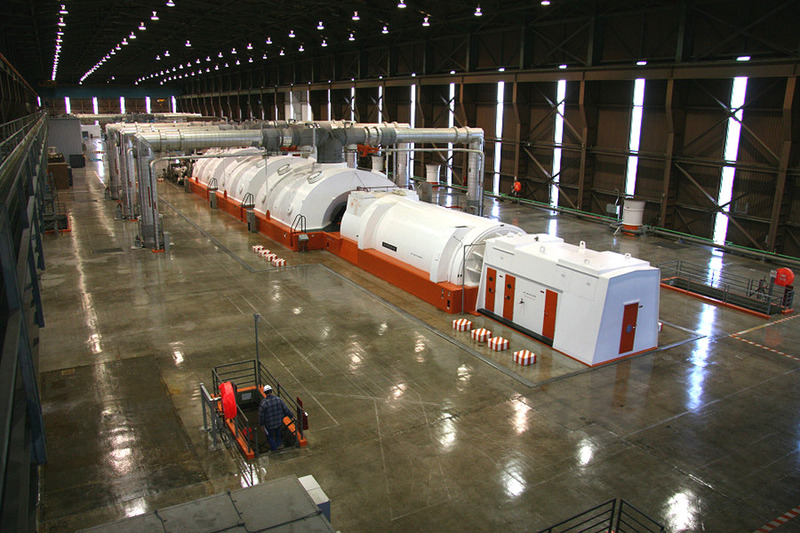 This allows the turbine generator and other important equipment throughout the plant to slowdown and come to a stop gracefully in case the power is instantly gone. I will write a story later about a day when this happened at our plant. The moments of confusion, and the quick decisions that had to be made to keep the unit 1 boiler from melting to the ground. Rest assured that throughout this time, the emergency oil pumps had kicked in. The station batteries did their job when they were called upon. While the control room operators were performing their emergency tasks to the letter and the electricians were scrambling to come up with a workable solution to an unforeseen problem, the turbine-generator, the PA (Primary Air) fans, the FD (Forced Draft) Fans, the ID (Induction) fans were all coasting down as the groundwork was being laid to quickly restore power. If not for the proper maintenance of the power plant station batteries, the lights would have possibly gone dark. Someone would have had to go looking for the portable generator and the spotlight. Ceremonies in progress may have to continued under candlelight.